USOTA taken from Stereohype's B.I.O. (By Invitation Only) Series 7, Carole Guevin (netdiver.net) from B.I.O. Series 6, French from B.I.O. Series 3, 123klan from B.I.O. Series 2, TwoPoints and Pierre Vanni from B.I.O. Series 6 and Rinzen from B.I.O. Series 2. 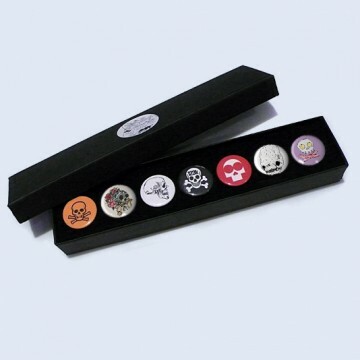 Single badge SKUs: B0422B7, B0308B6, B0131B3, B0051B2, B0333B6, B0340B6, B0098B2.